With the unemployment rate approaching a perilous 2 percent, a labor shortage is manifesting itself as a clear and present danger for the Japanese economy. Predictably, immigration was the first item on Prime Minister Shinzo Abe’s agenda as he got back to work after winning a third term as president of the ruling Liberal Democratic Party. Even though “guest workers” seems to remain the preferred terminology in the world of Japanese politics, the tone of the immigration discussion has undoubtedly shifted toward a more pragmatic approach to encourage long-term foreign workers, instead of trainees or student-visa holders who typically work in Japan for only a few years before returning to their home countries. This newly reinforced support of foreign workers within the LDP is a welcome development for Japanese companies, but it is far from being sufficient in solving the core problems of Japan’s labor market. By relaxing requirements for non-Japanese to live and work here on a long-term basis, the government is hoping to welcome some 300,000 workers from overseas over the next five years. The majority of these workers are expected to be engaged in low-skill jobs in industries such as construction, agriculture and nursing care services. This policy change is likely to bear some fruit in meeting the immediate demand for workers in these labor-intensive industries, as long as economic incentives are competitive, because these workers from neighboring Asian counties are economic migrants and not political refugees. It’s also worthwhile to remember that low-skill jobs are unlikely to be replaced by digitization or automation. Assuming technology does not alleviate pressure in this segment of the labor market, it is a rational decision on the part of the government to open the borders and let natural demand and supply drive the flow of non-Japanese into our aging society. Addressing the labor shortages in low-skill jobs, however, is not the most difficult challenge. The ultimate question for Japan, which faces a social transformation driven by both demography and technology, is how to secure talent in meeting a dramatic increase for high-skill jobs in today’s technology-rich environment. Studies show technology has been and will continue to replace jobs involving mid-level skills. Routine work can be easily automated and eliminated. In contrast, the increasingly digitized economy is quickly creating non-routine work requiring high levels of cognitive skills, critical thinking and an innovative and creative mindset. Can the Japanese education system produce such high-caliber human resources? Can Japanese workers upgrade their skills to meet the new demands for high-skill jobs? Can Japan attract foreign talent in growth segments of the economy? These are the critical questions that will determine the success of the social transformation this country has embarked on. The OECD’s Program for International Student Assessment (PISA) shows that Japan’s 15-year-old students demonstrate the highest levels of science and mathematical competency in the world. Similarly, the Japanese adult population demonstrates the highest levels of literacy and math skills globally. At the same time, these surveys show Japanese workers have relatively low levels of problem-solving skills using technology and little ability to master new skills. Despite the high academic performance demonstrated by Japanese students, these same students have relatively low levels of self-efficacy and critical thinking. Japanese youths also display a low level of interest in entrepreneurship. It is not a coincidence that the Keidanren business lobby has just announced it will abolish its recruiting guidelines for member firms that set a standardized calendar for recruiting college graduates. Faced with a severe talent shortage, companies have begun to realize that a rigid employment system limits their ability to secure a strong pool of workers from all walks of life. Their decision also casts questions on whether the Japanese school system is adequately addressing the need to nourish cognitive skills, critical thinking and digital literacy for future generations. Breaking away from the collective and homogeneous human resource management practices shared among the mighty Keidanren members, companies in this aging society are about to join the global war for talent. The tide in the global job market may be starting to turn in Japan’s favor. The recent tightening of immigration control by the U.S. government has reversed a long-term growth trend of international students enrolling in academic institutions in the United States. The number of foreign students in the U.S. has been declining since the new administration took over nearly two years ago. This drop is particularly noticeable with graduate school students in engineering fields. Some students from Asian countries such as India and China are also starting to consider career options outside the U.S. after graduation. Given more restrictive policies on visas, the U.S. is likely to see a continued decline of highly educated foreign workers. 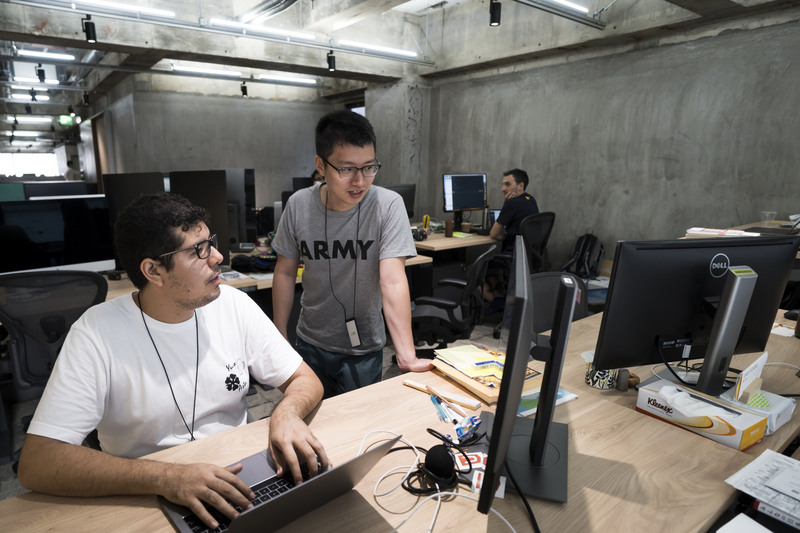 Attempting to capitalize on the recent brain drain from the U.S., countries such as Canada and Australia are stepping up their efforts to lure U.S.-trained international students to work in their technology industries. Japanese companies need to seize the moment and proactively market Japan as an attractive and dynamic place to work, where meritocracy drives social and economic upward mobility for everyone, regardless of nationality or gender. In fact, a handful of companies have started to move in this direction. Mercari, a 5-year-old e-commerce company, for instance, looks both inside and outside Japan its their new hires. 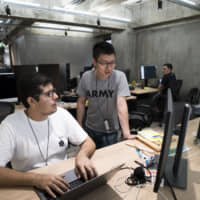 This year, almost half of its new employees are foreign nationals, most of whom are engineers with backgrounds in artificial intelligence. Much is to be done on the regulatory and governmental policy front to make the Japanese labor market more open and flexible. As seen at Mercari, however, it is ultimately a strategic decision made by individual companies that will move the needle in the global war for talent. Hopefully, Keidanren’s members will soon learn a few lessons from young companies like Mercari when it comes to competing for talent with the rest of the world. The good news is this is the kind of war which makes us smarter and more competitive by simply getting involved. Let the battle begin.